‘I have a cunning plan’ is the most recognised catchphrase from Blackadder. Let’s look at every cunning plan quote from every episode! 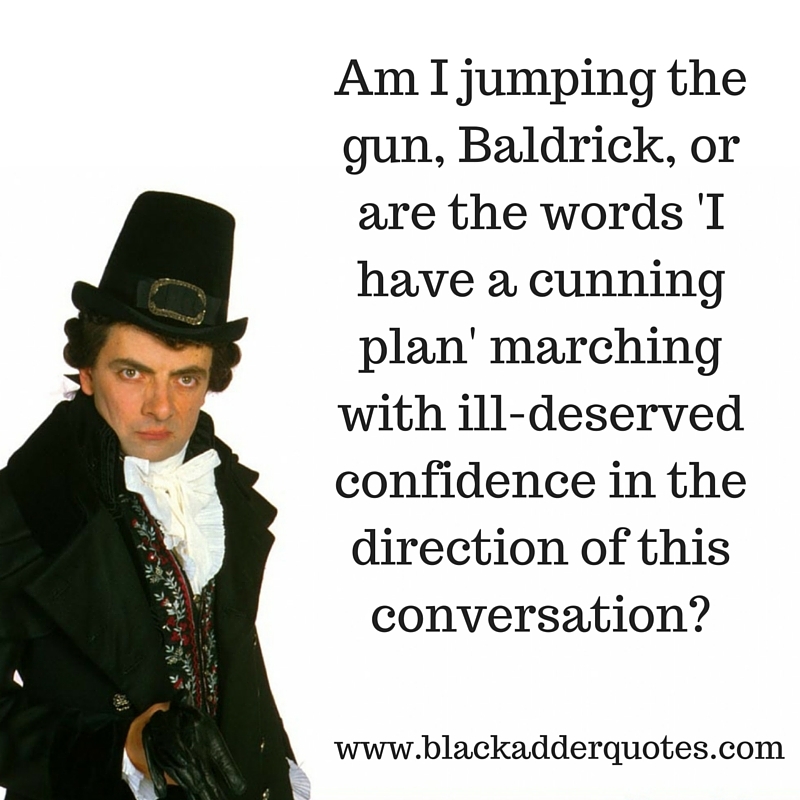 The words ‘I have a cunning plan’ are perhaps the most recognisable from the Blackadder TV series. How many times were they used though, and who used them the most? Let’s take a look. 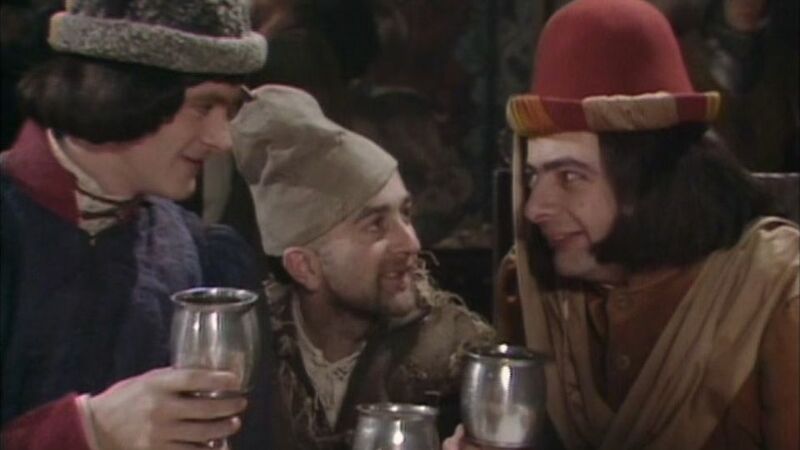 The very first time that the words ‘I have a cunning plan’ were used, was in the unaired pilot episode of Blackadder. It was a great little scene (for anyone fortunate enough to have seen it!). Moving on to the first series of Blackadder, we start to see the word ‘cunning’ introduced in the very first episode. Edmund: Those flags, Percy, are obviously just a cunning trick to deceive us into staying! Baldrick: No, My Lord, I don’t think it is a cunning trick. Edmund: Well, no, it’s not a particularly cunning trick, because we’ve seen through it! But obviously they thought it was cunning when they thought it out. Whist this didn’t use the phrase ‘cunning plan’, we can see that it is well on its way! Moving on to the second episode of Blackadder series 1, the ‘I have a cunning plan’ phrase from the pilot episode is revived. Edmund: Ah, yes — a drawback. Yes… Perhaps we need something a little more cunning. Edmund: Yes, perhaps, but I think I may have a more cunning one. Baldrick: Well, mine’s pretty cunning, My Lord. Edmund: Yes, but not cunning enough, I imagine. Baldrick: Well, that depends how cunning you mean, My Lord. Edmund: Well, pretty damn cunning. How cunning do you think I mean? Baldrick: Well, mine’s quite cunning, My Lord. Edmund: (fed up) Alright, then, let’s hear it! Let’s hear what’s so damn cunning! him to come with me and then…then stab him, perhaps. How cunning can you get? In the Queen of Spain’s beard, episode 4 of the first series, the word cunning is used again. Edmund: Oh, please, please tell me what your plan is, please tell me, please tell me. bit — instead of saying `oink oink’, you say `mooooo’! In the Witchsmeller Pursuivant BlackAdder Series I, Episode 5, we get to hear about a cunning plan 3 times. Edmund: Oh no, I’m doomed! Baldrick: Wait a moment, My Lord! I have a cunning plan that cannot fail! Edmund: Oh! What is it? Edmund: Brilliant! (laughs, shakes Baldrick’s hand) Well done, Baldrick! Very cunning! You may capture the eagle, but you cannot clip its wings! Baldrick: My Lord, I have a cunning plan. Edmund: Oh, Baldrick! I think I might be able to stall him. In the final episode of the first series, The Black Seal, we get some final use of the phrase as Blackadder becomes King (briefly!). EBA: Very well, the plan is simple. WD I thought it was cunning. ALL: Down with the plan. Moving on to the second series of Blackadder, which is where Ben Elton took on the co-writing. In the very first episode, the phrase was used again, but not by one of the main characters. Instead, it was used by the Wise Woman. 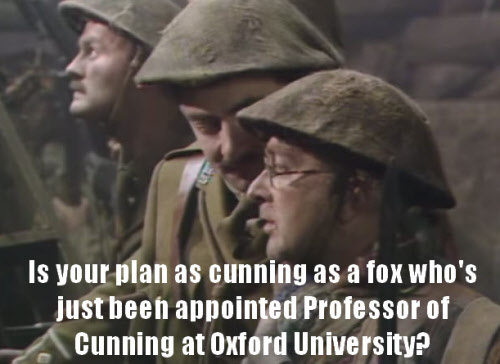 After this, although the word ‘cunning’ was used in various episodes of the second series, the actual phrase ‘I have a cunning plan’ was not used again until the third series. By the third series of Blackadder, the writers had clearly paid attention to which catchphrases people used in everyday conversations. The theme of a cunning plan really started to take off! 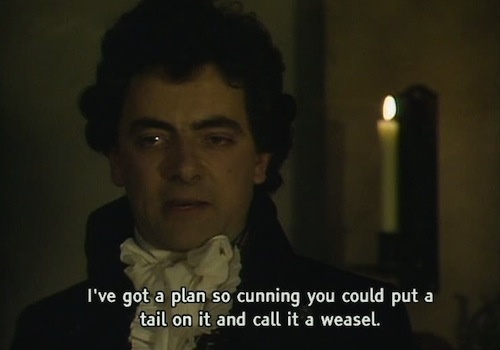 I’ve got a plan so cunning you could put a tail on it and call it a weasel. I have a cunning plan, sir. I’m I jumping the gun, Baldrick, or are the words “I have a cunning plan” marching with ill-deserved confidence in the direction of this conversation? B: Don’t worry Mr B., I have a cunning plan to solve the problem. E: Yes Baldrick, let us not forget that you tried to solve the problem of your mother’s low ceiling by cutting off her head. Well, Your Majesty, I have a cunning plan which could get you out of this problem. discuss an extremely cunning plan. If all goes well by tomorrow the clan of McAdder will be marching back the high road back to glory. So tell me cousin, I hear you have a cunning plan. The final series of Blackadder is some of the funniest and well written comedy to ever come out of the UK. It goes without saying that the phrase ‘I have a cunning plan’ was used multiple times! Baldrick: I’m carving “Baldrick”, sir. Baldrick: It’s a cunning plan actually. Baldrick: Permission to speak sir. Blackadder: Granted, with a due sense of exhaustion and dread. 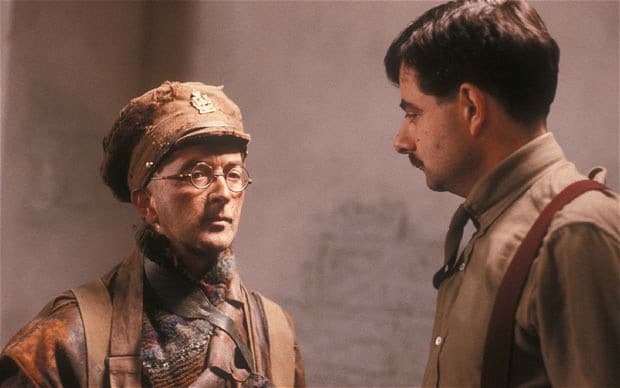 Baldrick: I have a cunning plan to get us out of getting killed sir. Blackadder: Ah yes, what is it? Do not despair, sir. All my talk of food was just a dead herring. In fact, I have a cunning plan. This is not food, but an escape kit. Not any-more sir. May I present my cunning plan. I, too, have a cunning plan to catch the spy, sir. Edmund: As cunning as a fox who’s just been appointed Professor of Cunning at Oxford University? Edmund: Well, I’m afraid it’ll have to wait. Whatever it was, I’m sure it was better than my plan to get out of this by pretending to be mad. I mean, who would have noticed another madman round here?